If you thought Dying Light’s £250,000 (R4.8 million at the time of writing) collector’s edition, entitled the ‘My Apocalypse Edition’, was outrageous, then this $10 million collector’s edition—yes, TEN MILLION DOLLARS—is going to absolutely baffle. That’s right, Techland is selling Dying Light: The Following’s The Spotlight Edition for a cool $10 million, or R158,238,500 to you and I. For R158 million, it had better be one heck of a collector’s edition – we’re talking a zombie-proof estate and our own personal tank. Sadly, that’s not what you get; instead you get to star… erhm co-star… you get to play a supporting role in a movie that doesn’t actually exist just yet! The fool details of what’s included can be found here. Call us cynical, but we’re not sure everything included within the collector’s edition comes even close to $10 million. 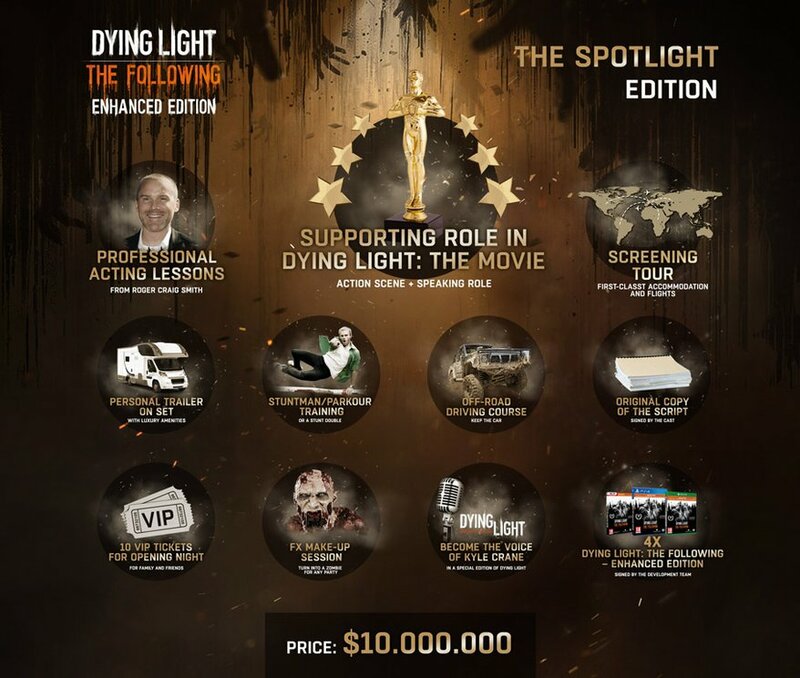 Become an integral part of Dying Light’s move to the silver screen! Participate in action scenes and deliver lines with an international cast of actors. The voice of Dying Light’s Kyle Crane and one of the most talented and prolific video game voice actor will make sure your delivery creates a powerful and lasting impression. 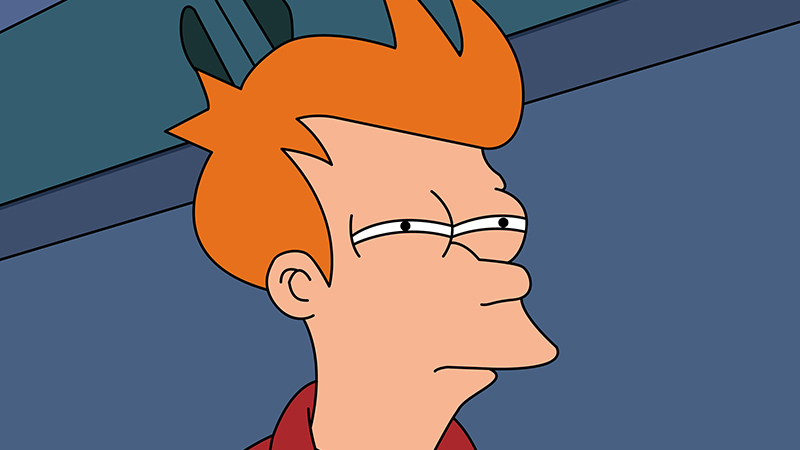 Nope; there’s no way that’s worth even remotely $10 million. It’s probably because a good portion of your purchase goes towards funding the creation of the Dying Light film. Letting someone with, presumably, no acting experience take a supporting role is a worrying indictment for the potential of the film, but you are offered acting lessons. If we were to make a purchase like this, we’d want an equivalent share of the profits, should it make any. Otherwise, even the most irresponsible money bags is unlikely to make the purchase. And to think, for $1 million, Saints Row IV’s Super Dangerous Wad Wad Edition included a flight into space, your very own Lamborghini Gallardo, 7 nights at the Top Royal Suite at the Burj Al-Arab in Dubai and even plastic surgery.